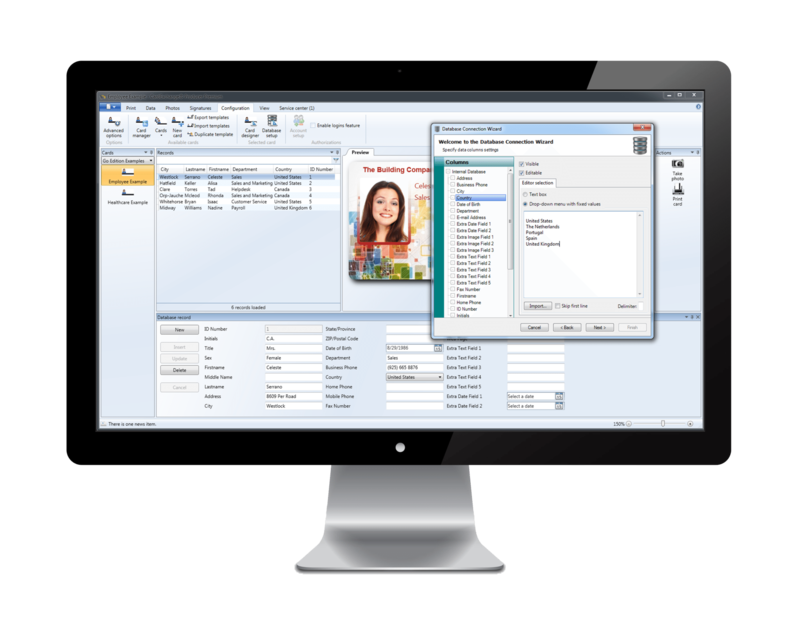 Any card personalization software can help you create your cards, but CardExchange™ Producer gives you all the tools you need to create the perfect card for your needs in a simple and fun way. 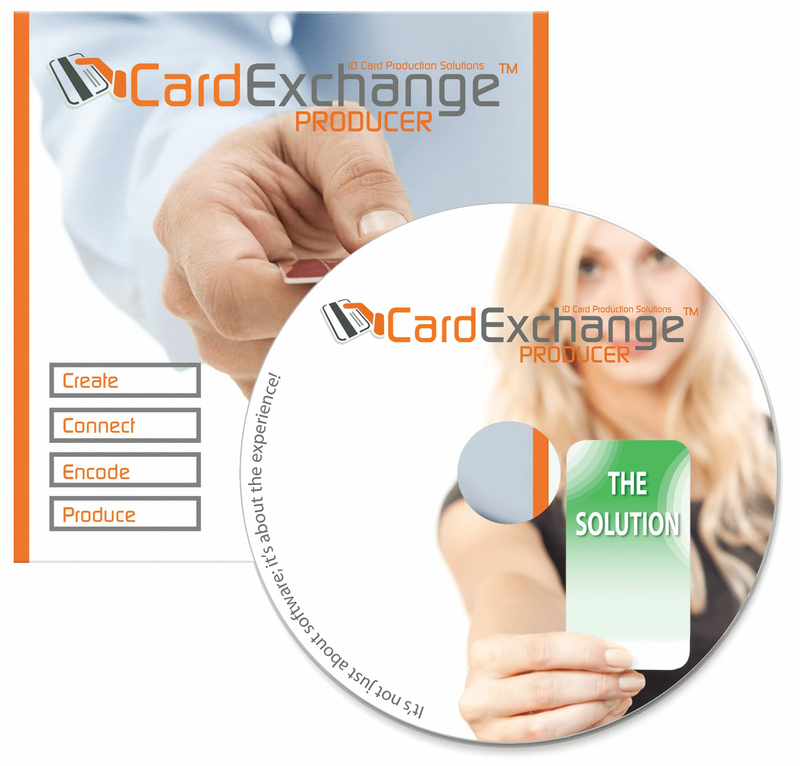 Within a few steps CardExchange™ Producer makes it easy to Create, Connect, Encode, and Produce cards! With several optional preloaded Card Designs to choose from, your card looks fantastic even before you start designing. With our card wizard, you can create your own card in just a few clicks. It’s that simple! We oﬀer the option to use one of our existing predeﬁned data-bases, or you can connect to your own data-base(s). With our drag and drop feature, you can easily add database ﬁelds to your card layout with-out the complicated need for manual mapping of each ﬁeld. And there you have it: a beautifully designed, fresh, high-quality card created in minutes. Create a unique experience for each user. With the powerful user proﬁle feature, you can customize permissions of what each user can see and do when they login to CardExchange™ Producer. 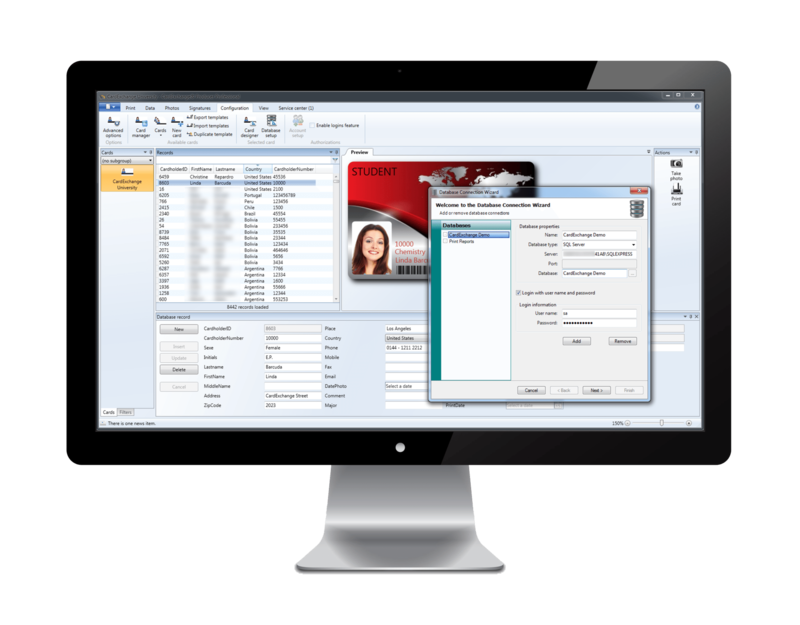 For customizing your card, CardExchange™ Producer can automatically adapt your data with our scripting feature. Each card can have its own database settings. You can also connect to multiple databases which enables you to make sure that all connected data-bases are updated in one step, at the moment you print your card. All possibilities made just for you.